Financial resource management for nonprofit organizations is one of the most important aspects to consider to keep a nonprofit group growing and thriving. 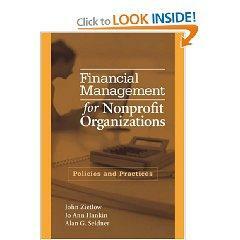 Nonprofits only succeed if they are led from a position of fiscal responsibility and sound bookkeeping. Along with financial analysis and reporting, having sound financial management techniques will ensure that your organization can realize its vision and goals without going bankrupt. Financial resource management can increase the nonprofit organization's legitimacy once the company's reputation as a tight ship whose donations are well-spent becomes apparent to an ever-growing group of people. The result - more donations and continued growth - will help your organization to realize its full potential and truly make a difference in the world. Proper bookkeeping is an essential step in financial resource management for nonprofit organizations, and the more organized your books are, the better off your company will be. Starting out, your organization will likely have a budget. This budget will spell out the money that you are able to spend on various transactions, and that money should be maximized to allow your organization to flourish. Budgets are often broken down into several areas: operations, program funds, capital funds, and cash. The budget will need to be meticulously documented, with every transaction detailed in your record books. Every quarter, your business should look at the money budgeted and see if certain processes and expenditures can be streamlined. Your business will need to decide where more money can be spent, what areas of the organization get the most out of their money, whether certain projects should be scrapped, and how best to meet goals in the next quarter. The budget for your nonprofit will ideally be balanced so that you're putting a healthy amount towards bettering the organization, while not spending so much as to run the company into debt. Any healthy organization needs oversight, including checks and balances, to make sure that management personnel are held accountable for their actions. Without oversight, one rogue person dedicated to the wrong mission, vision, or purpose could result in the collapse of an entire organization. A board of directors or board of trustees will be able to help managers and executive officers of your nonprofit decide where money will best be spent. The board can also help ensure that management is achieving performance benchmarks. Lower areas of the organization should be monitored by management as well to make sure that money is being spent efficiently and that the workforce is being maximized. The board of directors should also work together with management personnel to determine the best way to invest capital. If your nonprofit simply stores its funds in a bank account, the money will accrue minimal interest and little else. Investing money in personnel, technology, and marketing will allow you to make more money in the future by priming the pump now. Accounting is a difficult job, and financial resource management for nonprofit organizations must take into account the challenges inherent in keeping the finances squared away. Entering data, issuing statements, and monitoring transactions may best be left to a professional. 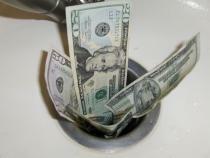 By hiring an accountant or a bookkeeper, you can save your nonprofit organization from making big money mistakes. Managing the cost for an accountant is done on a case by case basis; however, it may be better for your organization to hire a full-time accountant in the long run, especially if you expect exponential growth. If you cannot hire accounting help in the form of a person, you can utilize accounting software that will allow any employee to help. Accounting software will help the process go much more quickly than using paper books and records. Some such software is available for free online. This free open-source software is developed for burgeoning businesses that do accounting in-house and don't have the money to spend on professional software. Whatever you decide, make sure it makes sense for your business.